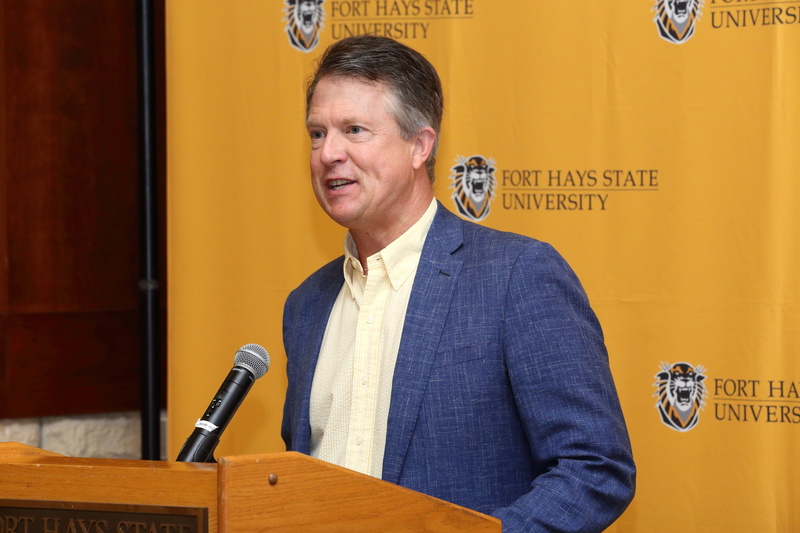 HAYS, Kan. – A National Leadership Planning Grant for Fort Hays State University’s Forsyth Library from the Institute for Museum and Library Services was announced at a news conference today by U.S. Rep. Roger Marshall, First District representative from Kansas. Library Dean Deborah Ludwig and Claire Nickerson, a faculty librarian and principal investigator for the grant, accepted the award of $49,997. Dr. Gordon Carlson, associate professor of communication studies, is the co-principal investigator and directs the university’s Institute for New Media Studies. Planning grants help project teams analyze needs and feasibility, solidify partnerships and develop work plans or prototypes, among other things. The Forsyth Library team is building a prototype of a smart classroom. Marshall, introducing the grant, noted the widespread tendency of people to focus on short-term benefits. The benefits of this project, he said, will be evident in two years, or five years, and will benefit life in western Kanas. “I am excited about what Fort Hays State University is going to do with this grant,” he said. Fort Hays State will provide $11,892 in matching funds to develop programming for a replicable, modular smart classroom kit that provides access to new technology and teaches data literacy. The kit will make it possible for smaller institutions, particularly in rural areas, to provide access to smart classroom technology – such as interactive data visualization and life-size 3D models – without large investments of time, money, or building renovation, thereby promoting digital literacy and inclusion for rural residents.  The project will be aided by an advisory group including academic librarians from a range of institutions in the region, including, in addition to Fort Hays State, the University of Nebraska-Kearney; the University of Kansas; Kansas State University; Pittsburg State University; Dodge City Community College; Johnson County Community College; and Labette Community College. Dr. Jeff Briggs, in closing, emphasized points made by Marshall and President Mason. At the end, President Mason unveiled a surprise from Marshall. He brought with him a miniature bat signed by most of the members of the congressional Republican baseball team as a contribution to the 2018 Tiger Auction and Dinner on Saturday. The National Leadership Grants for Libraries program is intended to address challenges and opportunities in the library and archives fields by supporting theory and practice with new tools, research findings, models, services, practices or alliances. The Institute of Museum and Library Services is the primary source of federal support for the nation’s libraries and museums. We advance, support, and empower America's museums, libraries, and related organizations through grantmaking, research, and policy development. Our vision is a nation where museums and libraries work together to transform the lives of individuals and communities. To learn more, visit www.imls.gov and follow it on Facebook and Twitter.